Chill out. Avril Lavigne is not dead, though her skeptics would have you think differently. Here's why the Canadian singer's fans and followers think the clone hoax rumours keep coming. Chill out. Avril Lavigne is not dead, though her skeptics would have you think differently. The Napanee, Ont., pop-punk princess has been the target of a bizarre years-long internet conspiracy which claims the so-called real Lavigne died and was replaced by a body double she had been using named Melissa Vandella — the "new Avril." It's in a similar vein as the "Paul is Dead" urban legend that's haunted Paul McCartney since the late 60s. 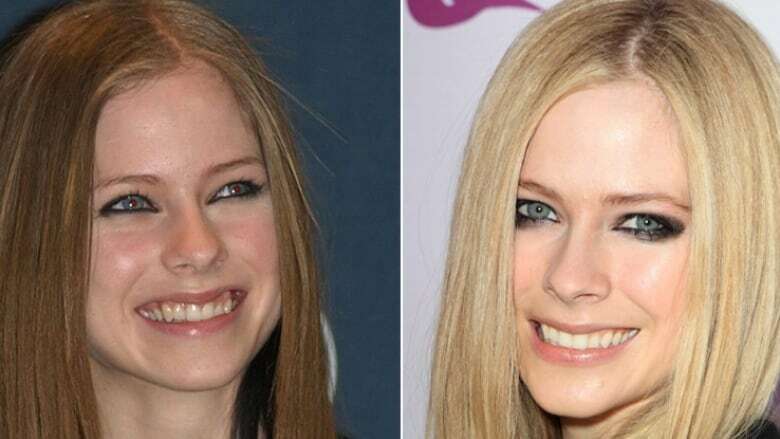 Skeptics claim Lavigne's outfit changes, hidden messages in her songs and her altered facial appearance in the years following her debut prove their point. Though the story has been floating around in some capacity for years — and is largely based around a Brazilian fan site which admits the hoax is untrue — it resurfaced on Twitter over the past few days and stirred up even more completely unverified and speculative debate. The relentless rumour has flooded the comments on Lavigne's social media accounts and that's ticked off a lot of her diehard fans, who wonder, why pick on Lavigne? Rafael Almeida Melo runs the Brazil-based UnitedforAvril fan club, which has more than 59,000 followers on Twitter. They feel the need to address the hoax every time it comes back up. Melo thinks it is "nonsense" but admits that people love conspiracy theories. "There are people who blindly believe in everything they read," he told CBC News. "The majority forgets that she became very popular at only 17 and now she is a 32-year-old woman. People can change." What upsets Melo the most is that people keep bringing up the theory in the fan club's Twitter mentions and on Lavigne's posts. One of the posts in question is an ad Lavigne put up last week endorsing Slim Secrets, an Australian protein snack company. Critics spammed the posts on Facebook, Twitter and Instagram, with some jokingly countering that Lavigne would never promote the snack. Sharon Thurin, the director of Slim Secrets, thinks the conspiracy is "insane." "Avril is alive and well and I enjoyed working with her team. She is a professional and look forward to working with her again," she said in an email. Thurin only heard about the conspiracy a few days ago but she's not worried it will impact the company's partnership with the singer. Lavigne tweeted Tuesday that's she's just starting production on her new album, which will be her sixth. Ryan Broderick has been reliving the rumour for years. 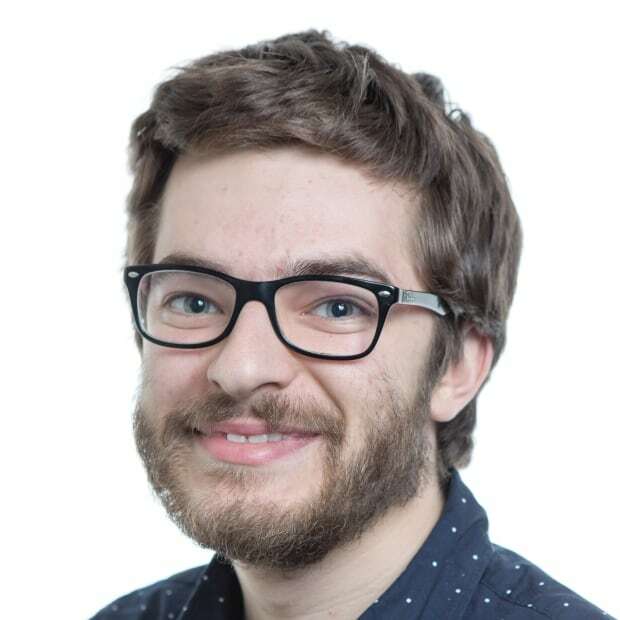 The Buzzfeed deputy global news director is credited with helping it go mainstream, after he tweeted and then wrote about it in 2015. He jokes it will be his journalistic legacy. "It's a pretty prolific thing. It's really funny. I think a lot of it has to do with how visual it is. The fact that it can fit in a Twitter thread and that you can see it and say 'Oh my god,'" he said. He learned about the conspiracy during a trip to Brazil to visit his Buzzfeed colleagues working there. He said he can see why some find it plausible. "With Avril Lavigne, she's out of the radar so often that when you see photos of her, you're like, 'Wow, she does look different,'" he said. "[She's] a celebrity that I wouldn't think would be important enough to clone and replace." While Broderick admits the rumour is very funny, he does get nervous when people go a "little crazy" with it. "You really hope that no one's using it to harass her," he said. "That's just like annoying." Bill Kosmopoulos doesn't see anything funny about it. He runs Napanee, Ont. 's La Pizzeria in Lavigne's hometown. 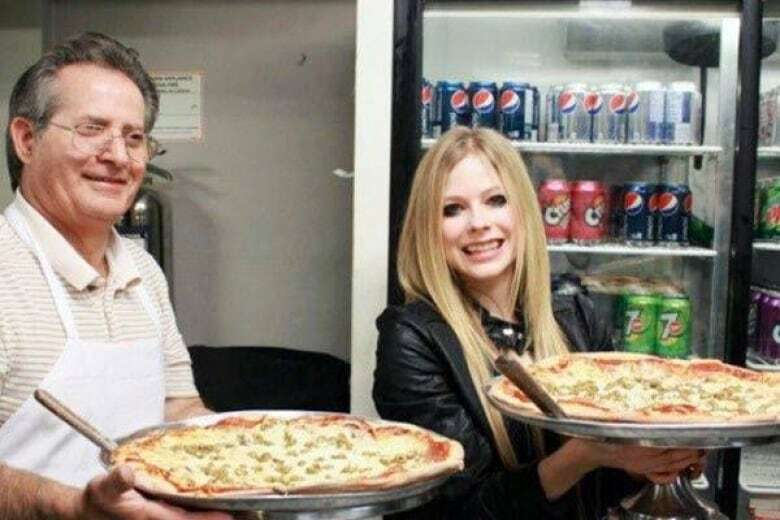 After Lavigne lauded Kosmopoulos' pizza in some of her early interviews, the place became a must-visit for diehard fans. Kosmopoulos said he still gets her fans coming in and taking pictures every couple of days. He hadn't heard about the rumour but blames the media for it. "Media, you guys are doing it," he said. "That's unbelievable with you guys." Lavigne's representatives have yet to comment on the conspiracy's most recent resurgence but UnitedforAvril's Melo is insistent the singer-songwriter is aware of it. "Avril doesn't care much about what people say or think about her," he said. "She knows her fans don't believe it, and that must be what matters to her, that's one of the reasons why we love her."